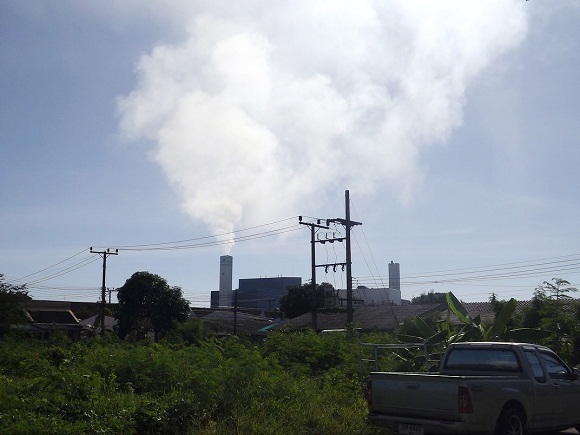 Gov Nisit hopes to build Phuket’s waste incineration capacity to make the island more attractive and sustainable. 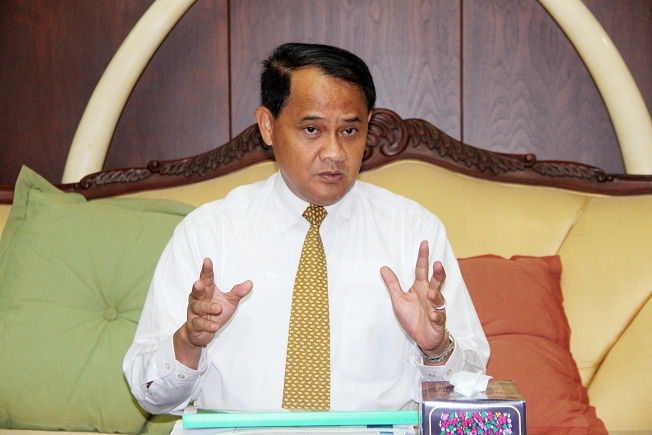 Governor seek to better regulate jet skis on Phuket beaches. 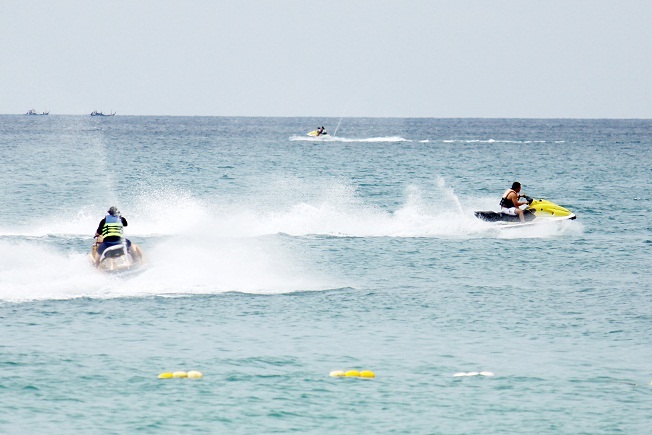 On jet-skis, according to a recent Phuket News Poll (the results of which were published on page 2 of the December 26 issue), 84 per cent of respondents strongly oppose jet-ski operations on the island. What’s your response to them? I would say that jet-skis in Phuket have been operating for a long time. If we suddenly wipe out the business, there would be major repercussions for them. Now we have enacted clear regulations, and if they don’t follow them, we can null their operating licenses. If the jet-ski operators are responsible for a bad side effect, a tourist has an accident caused by a jet-ski operator, for example, then we will put them on our list and if it happens a second time, then we will cancel their license. I know that lots of foreigners don’t feel positive towards the jet-ski operators. However, now we have started to manage and regulate the operators, starting in Patong, and later we will continue to every other beach in Phuket. In Patong, since we first announced the management plan, I haven’t got a report of an accident involving a jet-ski. Next year, we will continue to Kata, Karon and other beaches. Phuripat Teerakulpisut, Director of the Phuket Marine Office will be responsible for evaluating and monitoring [the jet-ski operators]. This is a security measure created to make all the beaches remain in harmony. If they don’t follow the rules, they will be phased out. I know that many Consuls don’t appreciate the jet-skis because they complained to me many times. So I informed them that now we have initiated regulations to control them. We are trying to make it safe and and prohibit them from abusing the rules. One of the solutions is we will have a local referee as a mediator between tourist and jet-ski operators, along with the police, who need to be informed in every case and the police will have to decide, so it will prevent overcharging from the jet-ski operators. Also, within the rental contract, there are four languages on an instruction and agreement in which tourists must read and be aware of in case there is an accident. What’s your view on sustainability and tourism in Phuket? Phuket, nowadays, needs improved law enforcement. We will enhance the potential of the province in the areas of marine safety standards; to check the location and the speed of ships in the territorial waters, which we will utilize what we call “Vessel Traffic System”. This system will be installed to cover 13 radar loops around Phuket to monitor nearby vessels. Gradually, we will improve our standard, enhance the potentiality of infrastructure to support tourism. There are flood-prone areas that must be allocated budget to fix. There should not be floods. Traffic must be reduced. Regarding mass transit, we are finalizing the public hearings (about a light rail system). Tourism and Phuket can not be separated because we have high-value resources – beaches, islands, and marine activities. We can’t switch to other types of business. The price of Phuket land is expensive, and other types of business can not compensate for it, compared to tourism. As for the waste issue, we are considering investing in a new incinerator to handle future rubbish. This is where I would like the public sector to invest. There were some of private sector entities who proposed investing here, so I told them to conduct a feasibility study, but I’ve seen no sign of them”. Can you outline your long term plans to address future problems in Phuket ? Now, Phuket isn’t growing all by herself. Phuket is a part of the government’s development strategy, so we can’t have Phuket depend only on a provincial strategy – we need to assemble with the country. Whenever I have an idea to develop Phuket, there is one thing that always comes up, which is how to make Phuket to be a world class destination, in respect to being clean, convenient, comfortable and offering fair prices. We will not solve everything at once but we will gradually improve. Taxis are one example (of improvement). On the first day I took office, there were 107 taxi meters, now we have 245 metered taxis. Central Group will invest in providing shuttle buses. These changes will put a lot of pressure on the black-plate taxis. There will be measures to arrest and fine them, and transition them into the legal system. The problem is they are poor, and we need to sort it out. If we shut the window of opportunity, it seems like we are pushing them to be criminals. Many foreigners don’t understand why law enforcement in Thailand is not compulsory, it is difficult in Thailand. We have numbers of poor people here in Phuket who are not Phuket locals. They come from other provinces, Phuket people themselves are not the problem, many opportunity seekers pour into Phuket. There are approximately 360,400 registered residents in Phuket, but we have hundreds of thousands who come from other provinces and countries living in Phuket, including millions of tourists a year. Last year, there were 11.9 million tourists. They are part of resources exploitation. We can’t push them away. So, we need to make them learn and understand the rules and regulations. And, according to the Phuket News Poll, many people want sun loungers back. I believe your poll. But I can’t allow them to occupy entire beaches. We set up a special zones for them and set up the system to prevent permanent occupancy, so we allow the rotation of operators and access to community enterprise. Those beach business operators must be poor. I will consider the Phuketian poor residents first, but people who have resided in Phuket for a long time are also considered too. The door will be shut for those influential figures. Those who sell the rights to other people will be cut off from the group, and we will enforce the rules and regulations. I will sign an MoU with the beach chair operators. My interim plan will be applied for three months. After that, there will be an expert evaluation of the results. If it turns out positive, then we will continue on but if it is not, then we will stop. My goal is to bring Phuket beaches into the Best 100 beaches of the world. So at the end of the year, we will hold a competition, which beach among the [main] nine Phuket beaches will be the best beach. Have you gotten feedback about your plan? Lots. There are groups of people who disagree with the plan. Some want the same beach operations (as before), some don’t, especially the hotels, but now they understand that the sun loungers are necessary for some groups of tourists since the weather is hot. So we need to find a balance. I can’t act against the law. I don’t want the hotels to operate the sun loungers. I don’t want them to steal the occupations of local people. They have to stay in harmony, help each other. For those who don’t want the sun loungers, they can go to the beach and sit there. Special zones will be set up as a solution. Also, drink vendors are allowed, but not cooking vendors. Smoking is prohibited too. Foreign tourists need to be aware and understand that just as you must follow the laws and regulations in their country, if you come to Thailand, you must respect our laws and regulations too. Smoking in public areas is prohibited, around the world. I think those people who have common sense and who really want to seek relaxation will need to respect our country.